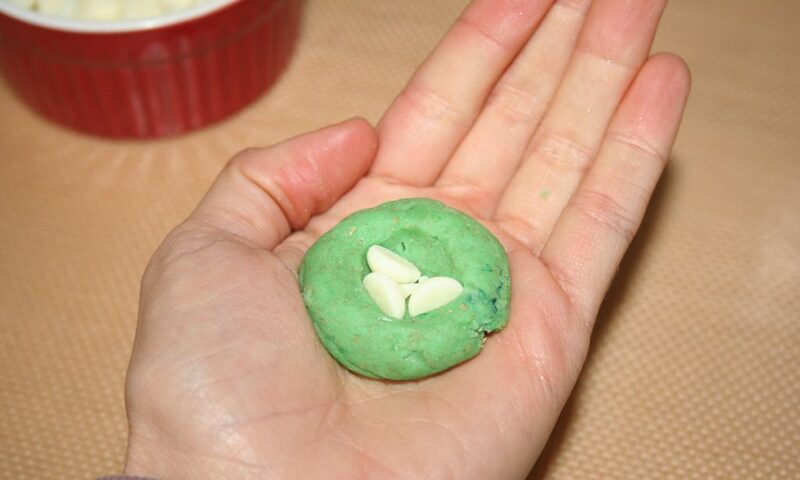 If you’re looking for a sweet little morsel with nostalgic appeal, look no further than the Bonbon Cookie. According to the Betty Crocker Cooky Book, which is where I discovered the recipe, this cookie was simply all the rage between 1955-1960. These bite-sized cookies have the visual appeal of bonbons, but a pleasant, buttery, shortbread-like flavor. 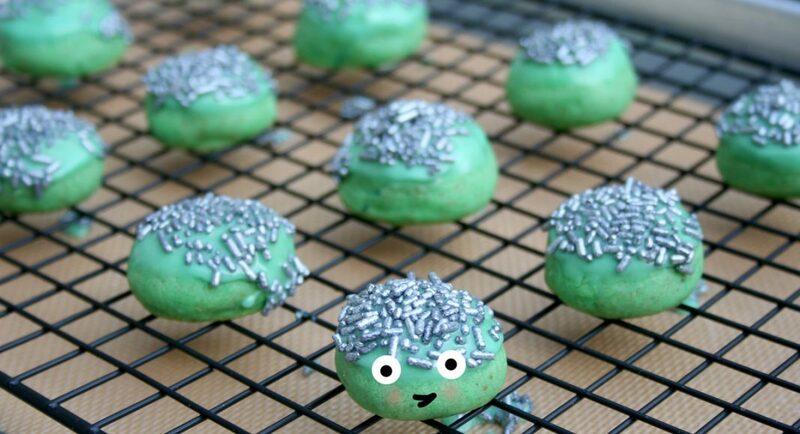 I’m fairly certain that Bonbon Cookies were never intended to be adapted into a cannabis-infused treat, and that’s what makes this recipe so fun. 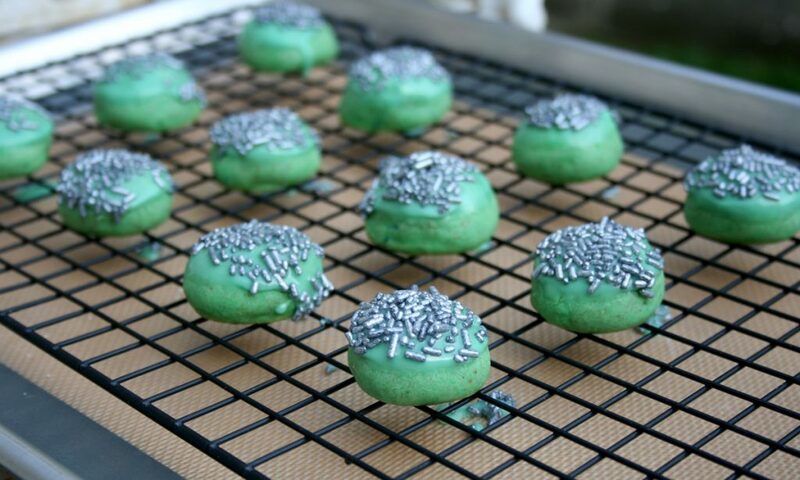 Making these cookies will make you feel like Donna Reed with a dark side. The earthy flavor of cannabutter works nicely with the sweetness of the icing, making for a thoroughly enjoyable edible experience. To fill: about ½ cup chocolate morsels, nuts, dried fruit, etc. 1. 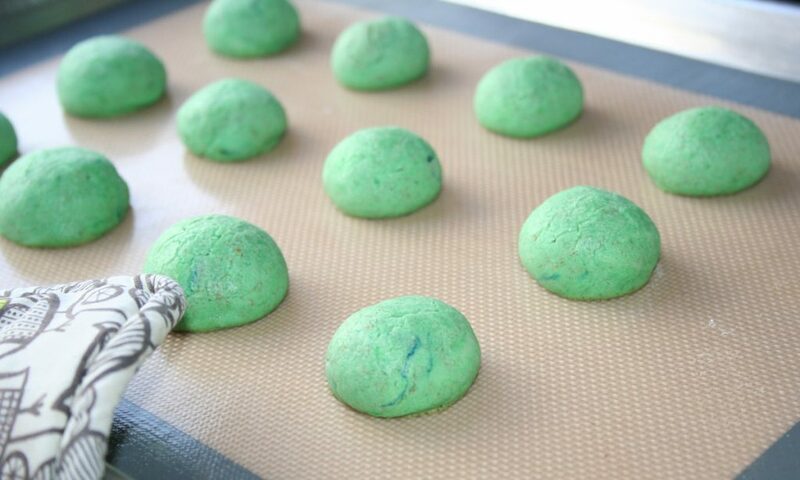 Preheat your oven to 350 degrees F. Line two baking sheets with parchment paper or silicone mats. 2. 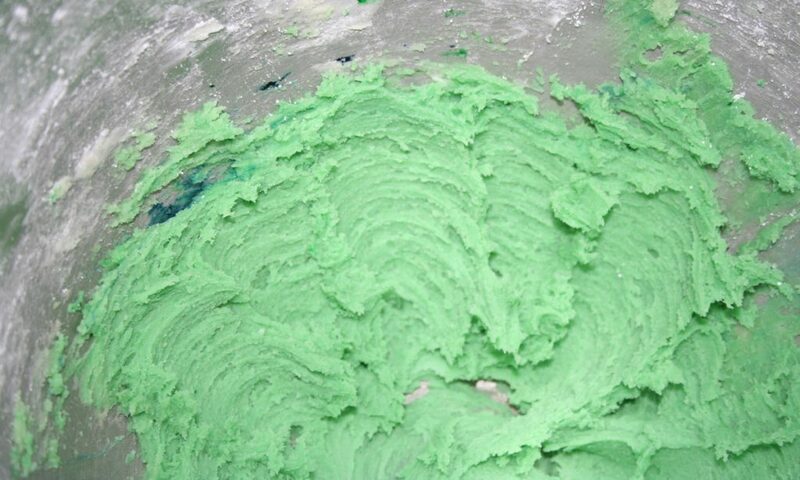 In the bowl of a stand mixer fitted with the paddle attachment, mix the cannabutter, confectioners’ sugar, vanilla, and food coloring (if using). 3. Blend in the flour and salt, mixing until the dough comes together into a somewhat play doh-like texture (easy to shape, not too stiff but not too soft). If the dough is too stiff, add a tiny bit of milk or cream. 4. Wrap a tablespoon of dough around your chosen filling (I used a few white chocolate morsels per cookie), making sure to form a seal all around the filling to keep it from melting or falling out during baking. 5. Place the cookies about an inch apart on the baking sheets, with 12 cookies per tray. Bake for 12-15 minutes, or until they are lightly golden on the bottoms and have a matte finish on top. Let cool briefly on the sheets, then transfer to a wire rack to cool completely. 6. 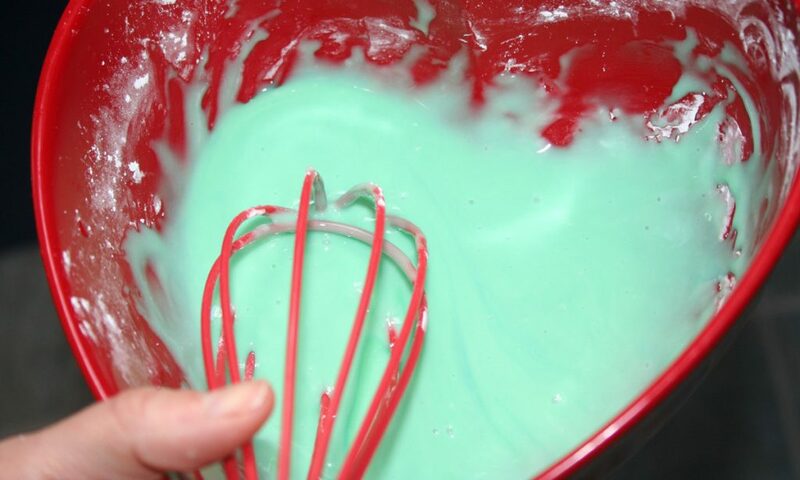 While the cookies cool, make the icing: whisk together the confectioners’ sugar, cream, vanilla extract, and food coloring, if using. The icing should be fairly thick, like a thick syrup texture. 7. 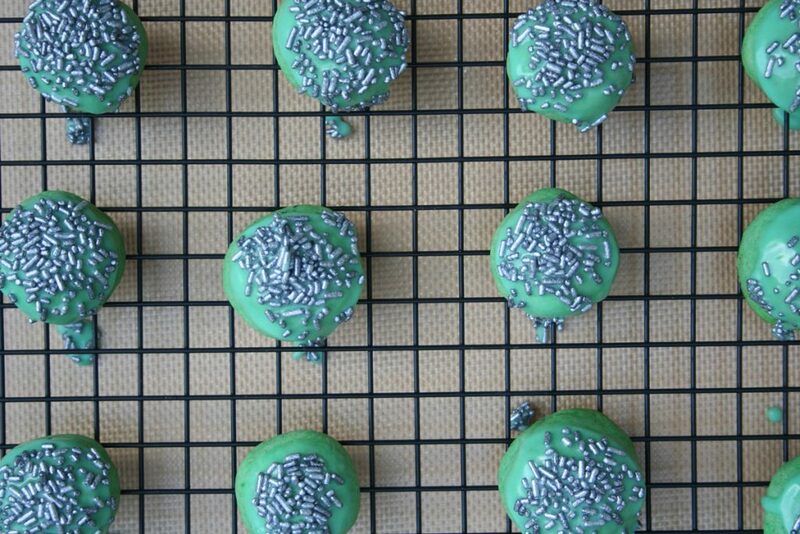 Dip the tops of the cookies in the icing, then immediately dip in sprinkles or any desired topping (it will stick best while the icing is still wet). Let “set” and enjoy! Store leftovers at room temperature, well wrapped in a single layer, for up to 3 days; these cookies can also be frozen for up to a month. To attain the perfect texture in these cookies, cannabutter made with butter or a vegan butter substitute is ideal; cannabis oil or coconut oil is not suggested. 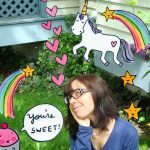 I “dosed” this recipe with 1 teaspoon of cannabutter per serving. 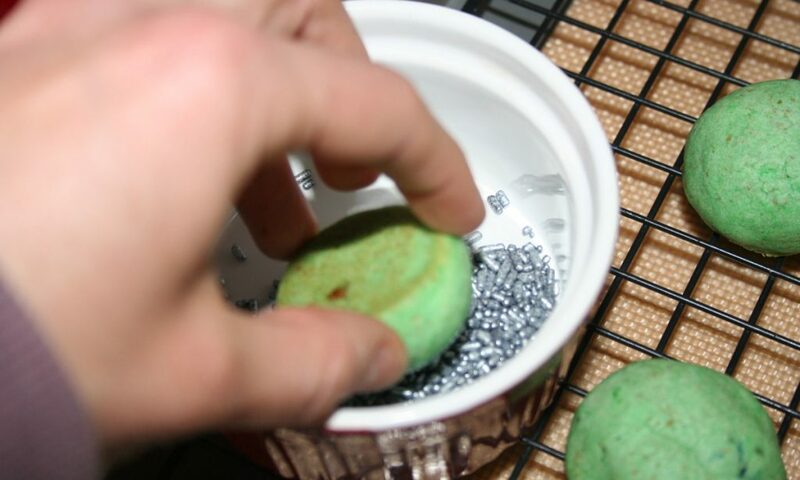 The strength of your finished product will depend on many factors, including the type of marijuana you used and how you made your cannabutter. For more tips on proper dosage, visit this post.